Those familiar with Hue products will know how versatile they are. The color changing and remote control is nice, but Hue things also integrate with smart home ecosystems from Google, Amazon, and Apple. They can be set to turn on when it's time to wake up, turn red when smoke is detected, and change colors when your favorite sports team scores. 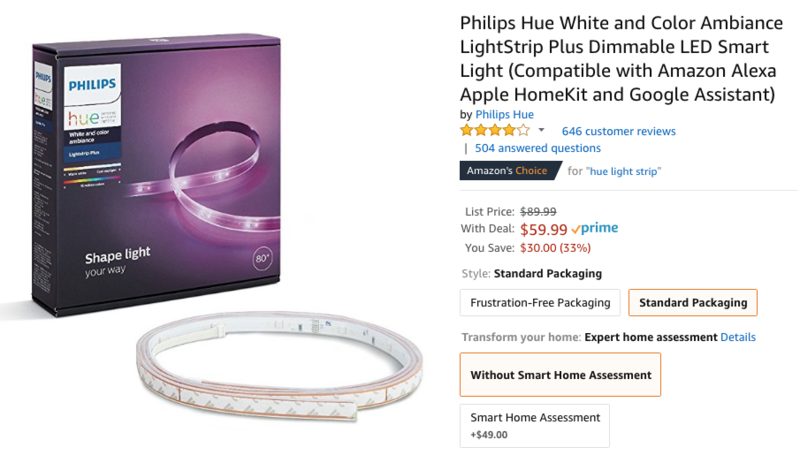 Note that some of the advertised features will require the Philips Hue Smart Hub bridge (which is discounted below). California residents should note that some of these, like the E12 bulb, can't be shipped to them thanks to the state's stricter environmental regulations. Artem, a CA resident who needs these for his Halloween display, went on a quest for more info, and you can check the fruits of his labor here.